I am your private Tarot Consultant, proudly serving the area of Longmont and Mead in Colorado. I am currently providing private Tarot readings for my clients in the comfort of their own homes, as well as readings via e-mail if desired. The relationship between a person and their reader is very special. It is based upon trust and respect. Complete confidentiality is always guaranteed, as privacy is the cornerstone of the relationship we will develop. Whether you have had many readings in the past, or have never used the Tarot before, together we can gain insight into the most positive ways for you to approach the present and the future! Originally from the Northernmost part of Michigan, Dennis Perez has been practicing the intuitive and paranormal arts for nearly thirty five years. He has been honing and refining his natural gift throughout his life, and continues to do so. He is extremely experienced with the Tarot, as well as with the use of pendulums and numerology in divination. 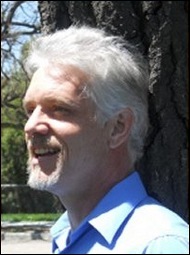 Dennis currently has a private practice in the area of Longmont and Mead in Colorado. He is active in the psychic and healing community in that region, and enjoys a life of continuing learning and growth in the spiritual realm. Over the years he has developed a preference for doing very personal one on one Tarot readings for his clients, as he feels this is where he can be of the most benefit. It is not unusual for people to share their innermost secrets during such readings, so Dennis holds true to the creed of sacred trust. 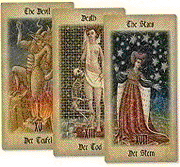 Yet, it wasn't until the late 1700s that tarot cards became strongly connected to fortune telling or the occult. The writings of Antoine Court de Gebelin in 1781 were also hugely influential on the image of the tarot deck. An amateur scholar, Gebelin suggested that the pictures on the tarot deck were related to occult Egyptian hieroglyphics The Waite-Smith tarot deck, created in 1909, is now often considered the "standard" deck, although the symbols are more a product of the late Victorian age rather than the Italian Renaissance period that they seem to reflect (and much less ancient Egypt). Wherever they claim to come from, these days you can find a tarot deck in any style or theme conceivable. I'll leave the mystical interpretation of its origins up to you! A reading is a very private conversation between you and your reader. Together we will interpret what the cards tell us about past influences, current issues and obstacles, positive courses of action, and possible outcomes. The Tarot will give us glimpses of a brighter future and suggestions on how to make it happen. Love? Money? Health? Together we can find the answers! With an hour of privacy, a small table and two chairs, we'll light a candle, cleanse ourselves of negative energy. and then spread the cards on their cloth. Together we will interpret what the Tarot is telling us about your situation and how to improve it. The cards may need to discuss something different than what we have in mind; it is our challenge to properly read these important messages. A spiritual connection is vital if we are going to share our secrets. If you chose to sit silently I can certainly read the cards, but if we honestly open up to each other the process will be greatly enhanced and the outcome can be life changing. 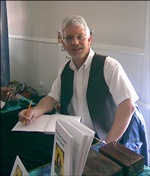 Meet Dennis at Psychic Fairs and Healing Arts Samplers in Niwot, Colorado and at other fairs in the surrounding areas. 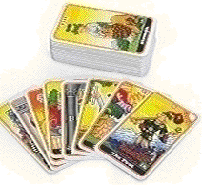 Visit Dennis's Store for Tarot cards, E-Books and more. At this time, for new clients, evening hours are available only during the week, with an occasional opening on the weekends. Current Investment - $100, which includes travel to your location in either the Longmont or Mead areas. To schedule your reading, or request further information, you may either email or call (303) 803-3219.